My teeth went 12 shades lighter with a laser whitening treatment at Smile 60. My teeth looked bright and white in just a matter of an hour. At the Smile60 Barnet clinic, you will get professional advice on laser teeth whitening and maintaining the results for the longest possible time. Laser technology is very quick with instant results in just over one hours treatment. Compared to other techniques such as over the counter products, the effects also last much longer. It is an instant result-oriented procedure that does not require continuous application for the user to start noticing results. 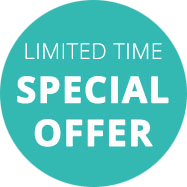 affordable and once you have had the initial session and future whitening costs just £99 for a top up session. Furthermore, the effects will last you much longer than other products. If one looks at the cost of continued use of alternative methods like bleaching trays etc. 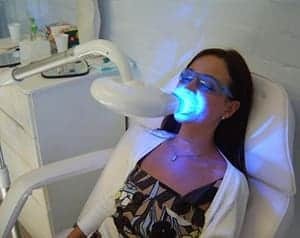 The specialists and whitening consultants at the Barnet teeth whitening clinic will give you all the technical details involved in laser treatment before carrying out the procedure. By the moment you walk out of the treatment room, you will have your teeth whiter than you can ever remember seeing them. You will regain that confidence to smile, knowing that you will make heads turn for the right reasons. The procedure employed for laser teeth whitening is completely pain less but effective. It is for this reason that laser teeth whitening are most preferred method for teeth whitening. 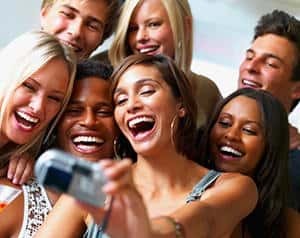 The teeth sensitivity after the laser teeth whitening is almost negligible. This is one thing our clients love. It takes only 60 minutes of your time at our Barnet clinic to completely retrieve your sparkling teeth. Suppose you are in hurry to meet someone especial and you want to impress her/him with your sparkling smile. Then laser teeth whitening is a solution for you. Your safety is our priority. We use rubber caps and neutralizing gel to protect your gum from laser so that your gum sensitivity is protected and minimized. You don’t have to wait to see the result. Sparkling white teeth are guaranteed right after the laser teeth whitening procedures are completed. You happiness is our happiness. The results of laser teeth whitening will last up to two years. Future top up treatments are only £99.00 Only highly trained professionals answer any questions you might have. The prices are reasonable and affordable in our Barnet clinic. It won’t make a hole in your purse to have laser teeth whitening procedure performed for you. The advantage of having healthy teeth with sparkling smiles out weights the price. Close to Enfield, Hatfield, Borehamwood, Elstree, St Albans, Potters Bar, Waltham Abbey, Hemel Hempstead, Watford, Finchley, Mill Hill, Edgware, Bushey to name a few. The demand for aesthetic dental procedures is constantly increasing. This has seen the number of people visiting specialist to have their teeth whitened also upsurge. However, most people do not consider the risks that some procedures may place on their health. It is important that you visit the specialist at the Barnet clinic and learn the benefits of laser teeth whitening treatment.